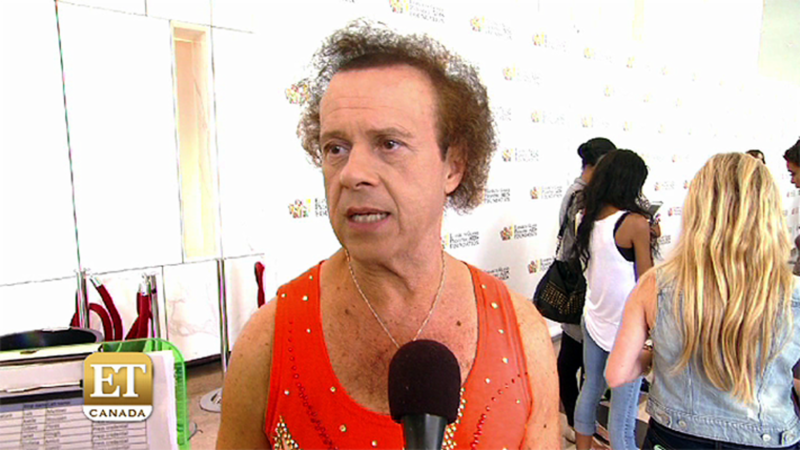 Richard Simmons is speaking out against tabloid rumors. The reclusive fitness guru took to Facebook and Twitter on Tuesday to both shut down reports that he is transitioning into a woman, and also express compassion and condolences for the victims of last week's Orlando shooting massacre. "Some tabloids have recently falsely reported that I am transitioning. In response, I feel compelled to set the record straight and refute these lies," the 67-year-old weight-loss expert wrote. "Although I am not transitioning, I have and always will be supportive of those who are going through their journey." "We should not lose focus on showing love, strength and compassion to all of the LGBT community during these tragic times," Simmons added. "My broken heart and healing thoughts are with the people of Orlando and all other victims of prejudice, bigotry and hate." Simmons manager and publicist denied the transition claims to ET last week, saying, "He is fine. This is such nonsense, even for the Enquirer." Earlier this month, fans were concerned when Simmons was hospitalized for reportedly "bizarre" behavior, however upon returning home, the actor provided ET a statement, saying, "Thank you to everyone who has reached out with love and concern after hearing I was in the hospital. I was dehydrated and needed some fluids and now I am feeling great! Summer is here - drink plenty of liquids. Big hugs and kisses for caring." Watch the video above for more on Richard Simmons.